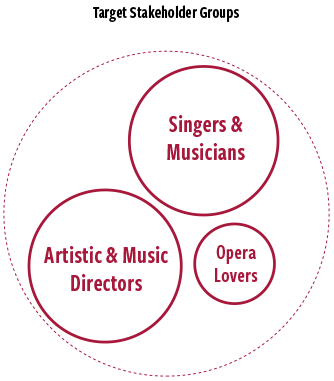 Sono Artists provides artist management and public relations services for classical musicians and opera singers. Based in Vienna, the firm connects its clients with premier productions at some of the world’s most prestigious venues. 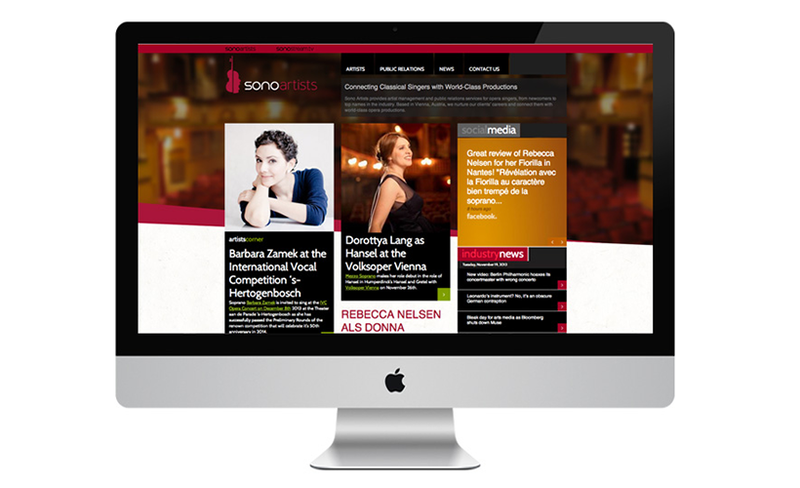 Building on the strength of its relationships, the firm also developed Sonostream.tv—a streaming platform that delivers opera to your desktop. In its early days, Sono Artists was quickly assembling a roster of star clients. What it didn’t have was a brand. The firm engaged SPINE to develop a brand that would convey sophistication and success to its two main audiences—talented performers and directors casting world-class productions. Shortly after launching the new brand, Sono Artists introduced its streaming service, broadcasting to opera aficionados across the globe. 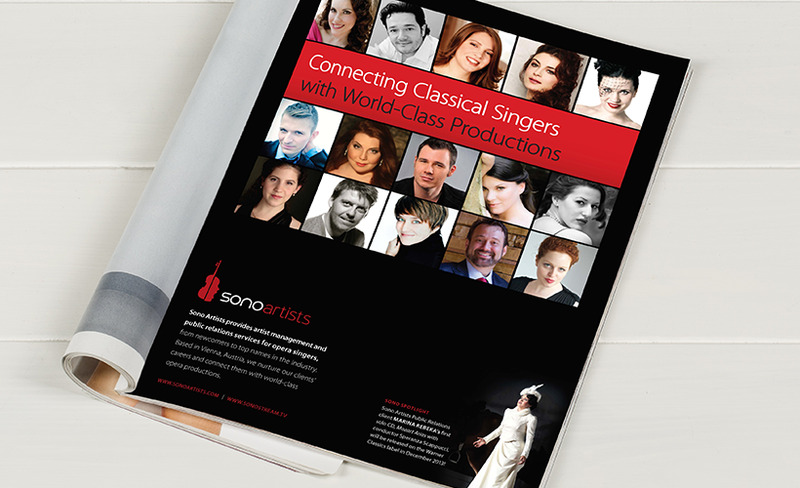 Sono Artists represents both opera singers and classical musicians. The success of the logo derives from the pairing of two similar, graceful shapes—a viola and the silhouette of a singer. SPINE also developed a complementary logo for the firm’s opera streaming service. Directors are constantly seeking talented performers for their next production. SPINE built the Sono Artists website to showcase the firm’s clients based on vocal range. Each artist has a visually rich, multimedia profile page highlighting past performances, news, and reviews. Sono Artists exists to allow performers to focus on making music. World-class artists honing their craft don’t have time for the headaches of scheduling, arranging auditions, and curating their public image. The Sono Artists website was created to attract emerging artists and give them a home. We also developed advertisements targeting the same young talent pool. The site was designed to illustrate the firm’s connectivity to the opera and classical music community, with a mix of client and industry news, social media posts, and performance highlights. Sonostream.tv is your virtual opera house, delivering live and on-demand performances from venues throughout Europe and beyond. To support this initiative, we developed not only the identity but the web platform itself.